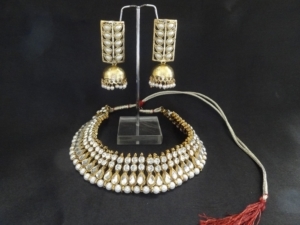 Artificial Jewellery – Reeti Fashions Jewellery – Designer Pearl Jhumkii with Pearl Necklace. 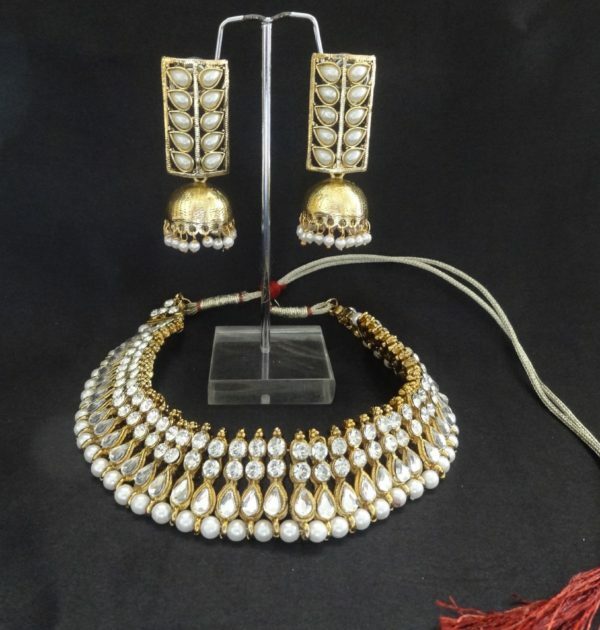 The set is accentuated with white kundan stones, pearls is a royal piece is made of fine metal. 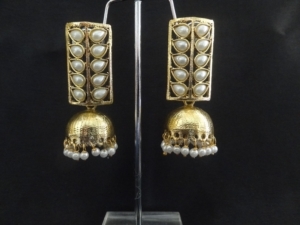 The earrings with high level of creativity is designed to provide charming look. 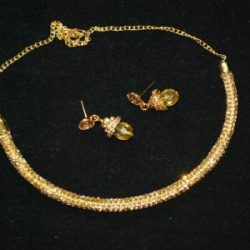 The necklace with matching pair of earrings is a quality product for wedding, engagement, traditional ceremony. 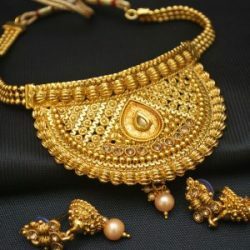 The set complets the look with any Indian traditional outfit – sarees, lengahas, ghagra choli…etc.